Apple announced AirPods 2: What's really new and different? Home Accessories Earbuds New AirPods vs old AirPods: What’s really new? Apple announces AirPods 2: What’s changed with new AirPods? Apple’s new AirPods have arrived more than two years after the release of the original version. These earbuds don’t look any different from the old model, however, has some of the new and improved features. It will feature a wireless charging case, improved battery life and hands-free access to its Siri voice assistant. The newly launched wireless Bluetooth earbuds offer a wireless charging case. The owners of the old model can also buy a separate charging case worth $79 (Rs 5,454). Further, the Wireless Charging Case works with any Qi-based wireless charger and includes an LED on the front of the case to indicate charging status. Else you get the same touch controls on both to play and pause tracks or answer calls from the new AirPods. Even the sensors are the same when the pod is in your ear. ‘Hey Siri’ – Unlike old wireless pods, there’s a voice assistant which enables you to make a call or adjust the volume with a Siri command. The new AirPods will be available in India later this Spring but the Company hasn’t specified the sale date. However, They are already listed on its official India website. 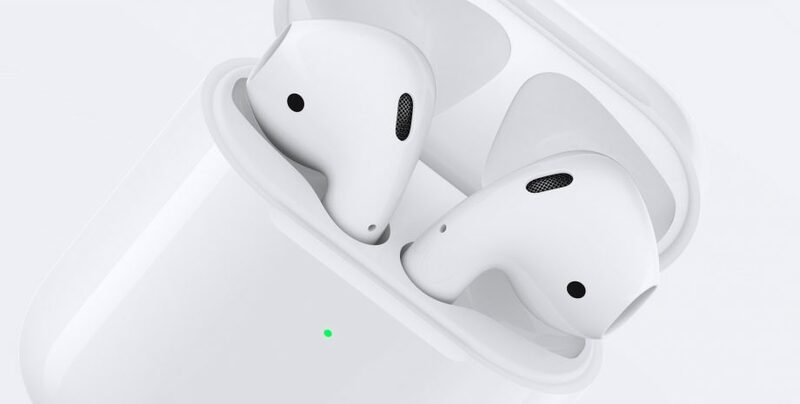 AirPods 2 price in India is set at Rs 14,900 with the normal charging case. If you buy the pair of wireless earbuds with wireless charging case, it will cost Rs 18,900. As mentioned above, you can buy the wireless charging case separately for Rs 7,500.